Yesterday was Gerber’s birthday and he was gone the whole day and the whole night….working. 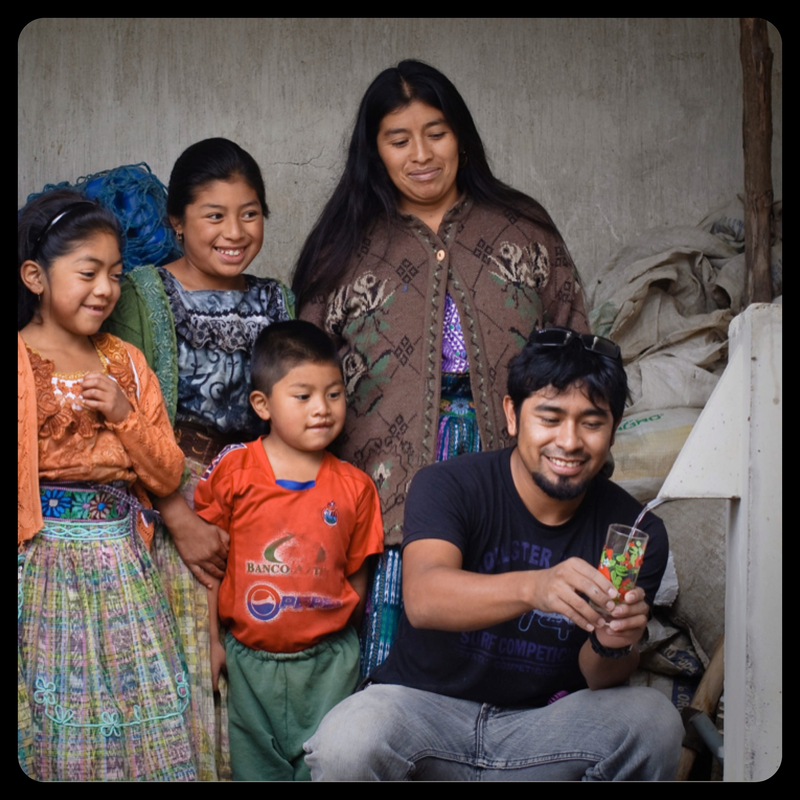 He had already committed to start building water filters with a new community in the southern part of Guatemala and he had four eager volunteers waiting to go. So at 7:00am he left with his truck bed piled high, four guys seated in the cab and our Guatemalan technical nestled in the back between shovels, sifters and a wheelbarrow. I did at least send him off with a birthday smoothie. Antigua has relatively mild temperature year around– and yesterday was one of those perfect, mild-75-and-sunny-with-a-slight-breeze-and-volcanic-views, kind of days. Where they drove to is almost always HOT and HUMID. Temperatures hover around 90-100 degrees. And when you add in the humidity and some manual labor, it’s a recipe for constant sweat dripping down places you didn’t know could sweat. This is where he went to spend his birthday, my brown skinned, dark haired boy who complains when I ask for a table in the sun!?! I talked to him last night on the phone and he seemed happy. The kind of happy that comes from somewhere deep within, because you’ve spent the day doing something you love– working with Guatemalan families, sweating and laughing and lifting. Watching kids still too young to attend school help wash sand and carry shovels three times too big for them. Helping teenage boys from the states learn how to mix cement and take a shower without running water. Attending the evening service at the local church and wondering why with so little resources they are so welcoming and sometimes our big, fancy churches with entire committees dedicated for “welcoming” don’t feel that way. I know there is something he loves about setting up tents and mosquito nets and working hard and being thankful. One of the reasons why I love this man so much is that he is passionate. He is passionate about helping people get access to clean drinking water. He enjoys serving others, and maybe even more so, teaching others. He has vision, ideas and goals and he’ll even give up a birthday so he can be a part of making these things happen. His passion and direction make me proud and excited, but also, they give me a sense of security. I know that the same passion he feels about bringing clean water to communities, he also feels about me and about being a dad one day. And I know that he’s the kind of man who will sacrifice a birthday, or his own plans or needs to take care of something or someone that he is passionate about. Happy Birthday, mi amor! Te amo. *I did make a little dessert last night in his honor and tasted it to make sure it was fit for a little belated birthday celebrating.